Goa, renowned for its beautiful beaches and people is an idyllic getaway for many. Every school holiday meant a trip to Goa to spend time with family. Along with beautiful weather and some of the most amazing produce, what I enjoy most are the traditional Goan sweets. Since moving from Bombay, these sweets are no longer within easy reach for me. So over the last few years, I've done the next best thing - learn to make them myself. A lot of these sweets make an appearance on the Goan Christmas platter also called Kuswar (pronounced koos-wahr). So far, I've had brilliant luck with quite a few and I will list them along with links to their recipes at the end of this post. I'm hoping to get a few more of them up earlier this year. So check back soon. Today, after a long wait, I'm happy to share with you a recipe for Dodol. 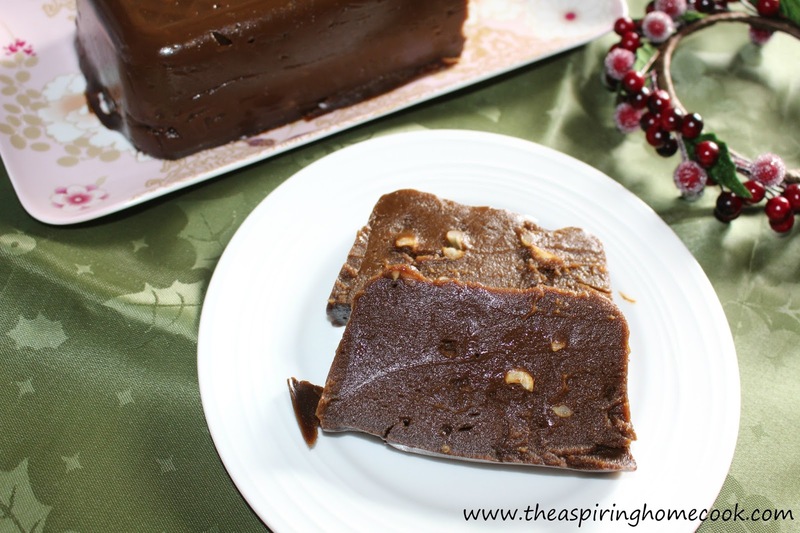 Dodol is almost a jelly like sweet made using Goa Jaggery, coconut and rice. 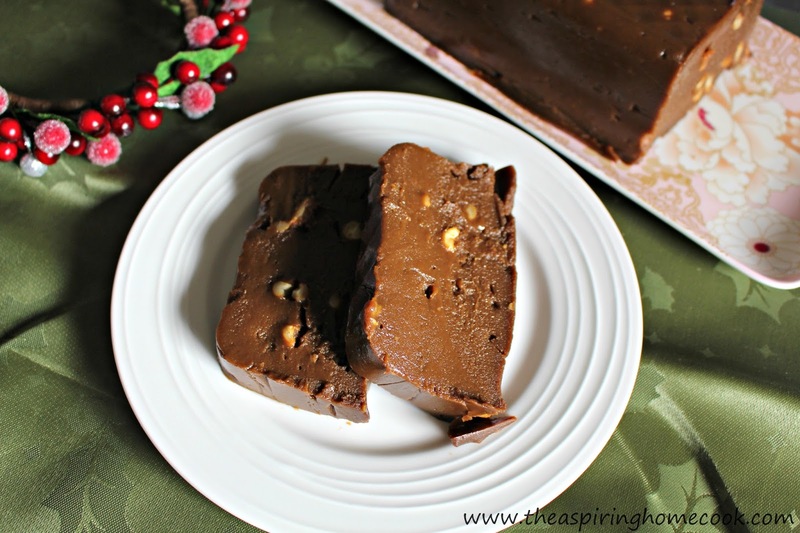 Traditionally made, it is a very labor intensive recipe, but the results are so worth it. You use coconuts, freshly grated and juice extracted, the rice roasted and ground and after the jaggery is added you cook it long and slow, stirring continuously. Unfortunately for me, I don't have access to Goa Jaggery in Sydney. But I was told that I could use Molasses instead. So on my last grocery shop, I picked up a bottle of Molasses. I decided I was going to try a few short cuts to cut down on time involved and used rice flour and a can of coconut cream. I'm happy to report that the whole prep and cooking process that usually takes hours, took be about half an hour from start to finish. The hardest part was leaving it overnight to set. 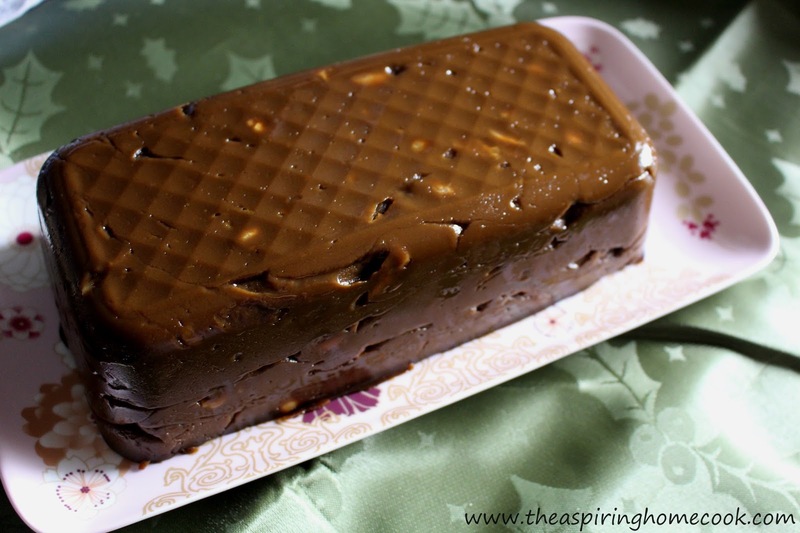 You may not need to leave it that long, but I made the dodol in the evening and it was too warm to cut into after dinner. But when I did cut into it, it was soft and delicious, just like I remember. I would recommend refrigerating it for a while before serving. It cuts a lot easier when cold. 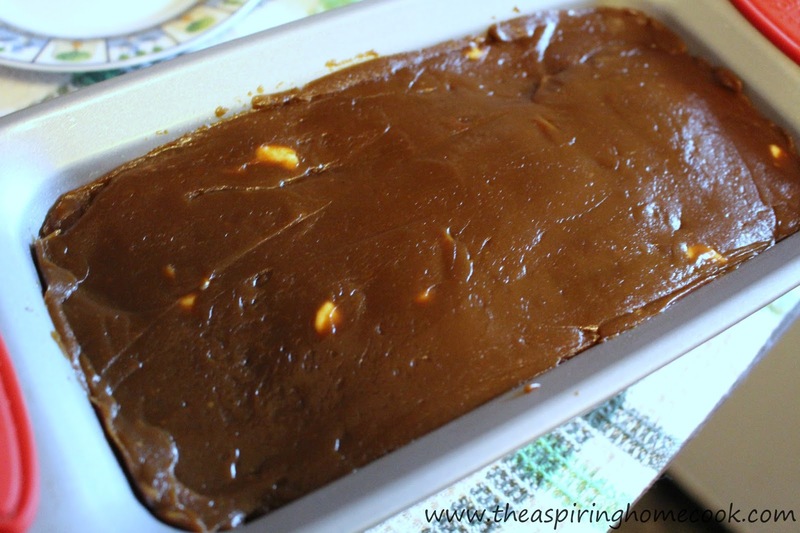 So if you've been putting of making Dodol because you can't find jaggery, go get some molasses and get making. When adding the molasses, don't go by the color of the mix, but taste for sweetness. Grease a loaf tin with a little ghee and keep aside. In a large pan (I use the 12" Kitchenaid Stainless steel skillet) measure out the rice flour. Add enough water and make a batter (almost like a thick pancake batter). 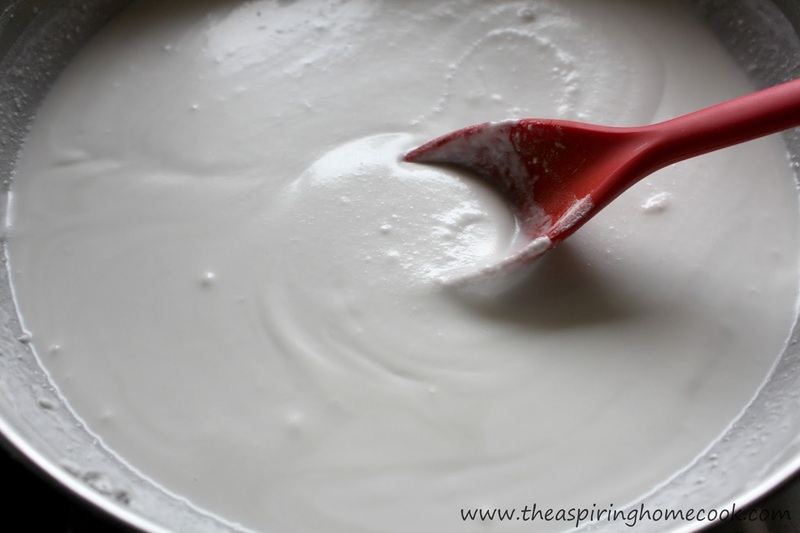 I use a whisk for this as it mixes the flour well without any lumps. 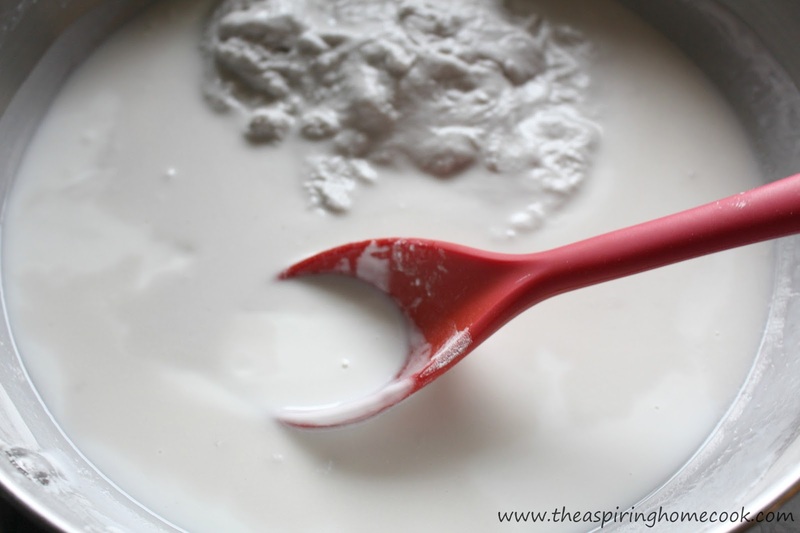 Pour in the coconut cream and whisk till dissolved. 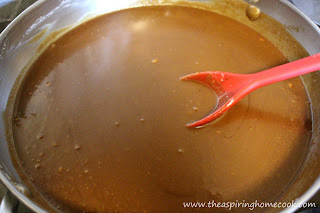 Now, place the mix on a medium heat and let it cook, stirring continuously. When it starts thickening, drop the heat to low and continue stirring. I find that you may still find lumps in the mix even inspite of stirring. Use a whisk and break them up. It returns to a smooth consistency very quickly. I had to do this about 3 times. As it thickens, it gets harder to stir. Add the chopped cashew nuts and keep stirring. After about 20 minutes, here's what my mix looked like. 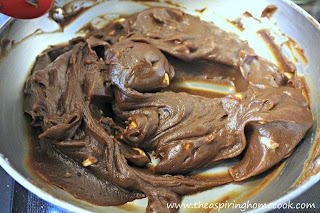 Continue cooking till the mixture starts leaving the sides of pan and looks a little glossy. I cooked the mix down for about another 5 minutes, stirring continuously. At this stage, you need to work quickly. Pour into the greased loaf tin and flatten it down using the back of a spoon or a spatula. Leave to set and cool completely. Once it has cooled you can either refrigerate it for later use or demould it to serve. To demould, just place a plate, slightly larger in size than the loaf tin, on top and tip the tin over the plate. A slight shake of the tin and plate should be enough to loosen the dodol and let prop it on the plate.